Product prices and availability are accurate as of 2019-04-18 16:10:18 UTC and are subject to change. Any price and availability information displayed on http://www.amazon.com/ at the time of purchase will apply to the purchase of this product. Mind blowing experiments to delight and educate young scientists! Erupt a color changing volcano. Mix up magic ooze with a mind of its own. Play with sand that never gets wet. Mix safe chemicals and watch colors change before your eyes. You'll amaze yourself and your friends as you explore the science behind these truly remarkable reactions. 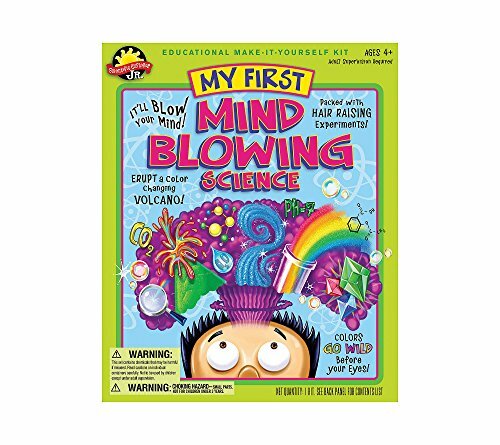 Packed with hair-raising experiments that will boost your brain! Safe, non-toxic, and filled with fun. Ages 4 and Up, Adult supervision required.